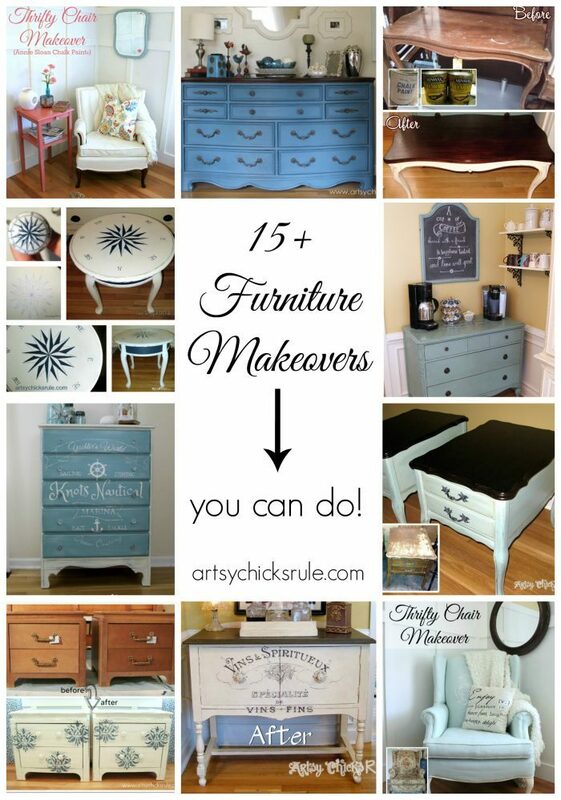 I’m sharing 15+ furniture makeovers today….all you can do! Hope you are all having a great week so far. 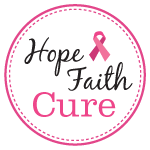 I’m heading out to Atlanta today to attend a blogger’s conference and I’m so excited! 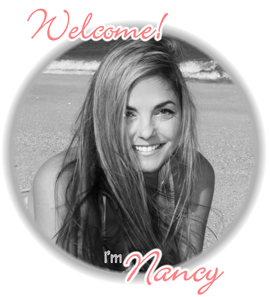 I am so thrilled to finally be able to meet, and see some other bloggers I’ve already met, very, very soon! 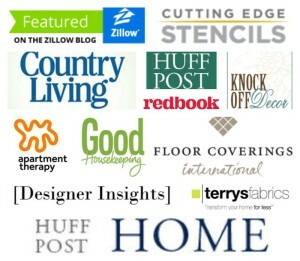 I would bet I will be surrounded by many other bloggers you read and love! 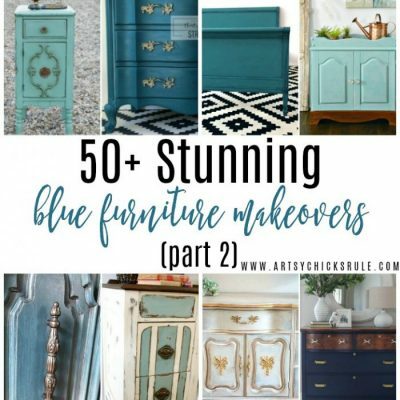 So, since I’m heading out of town I thought I’d do a round up of a bunch of my furniture makeovers and redos. All in one place! And all things you can do too! 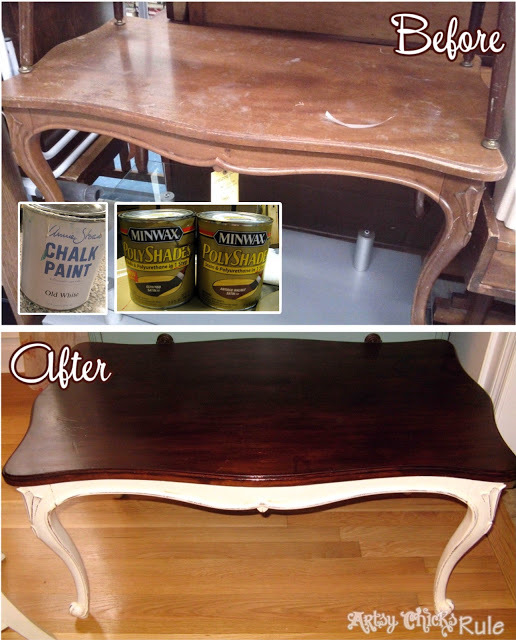 You can also find more in my DIY Tutorials link and the Before & After links above. I have to start with what is probably my very most favorite piece. 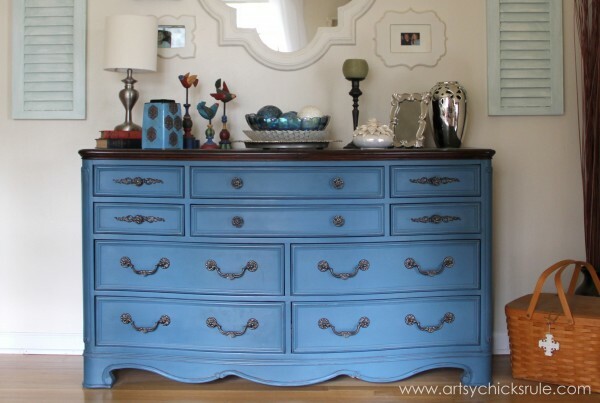 This Aubusson Blue Chalk Painted Thrift Store Dresser. 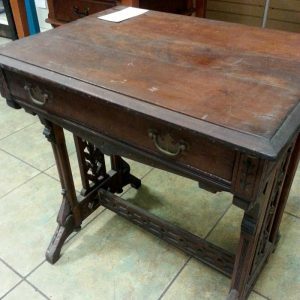 You can see the before and read about it here. This is also the dresser I made a missing handle for. Yes, I made it! See all the info on that here. 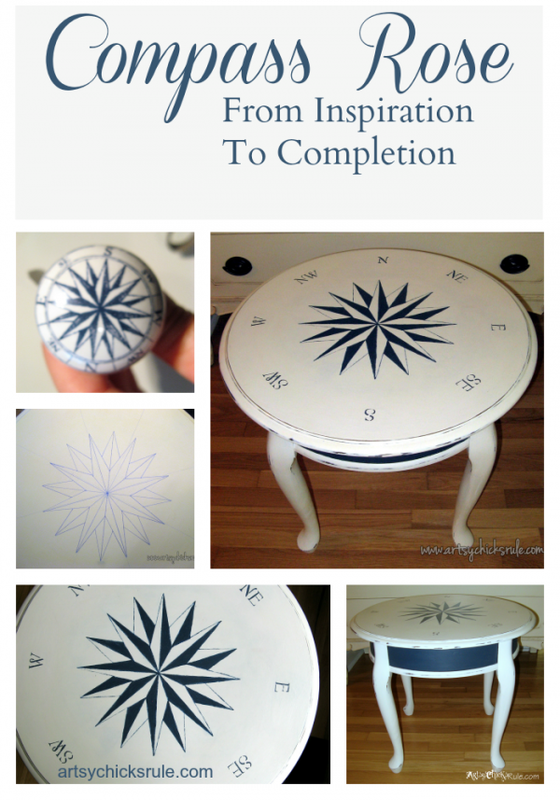 Compass Rose Table Tutorial. 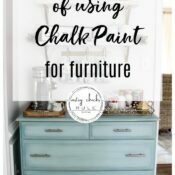 Painted with Chalk Paint®. See it here. 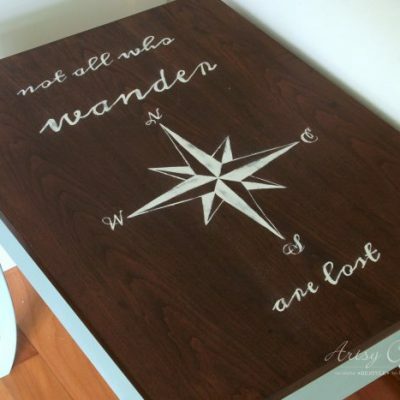 Another compass rose. 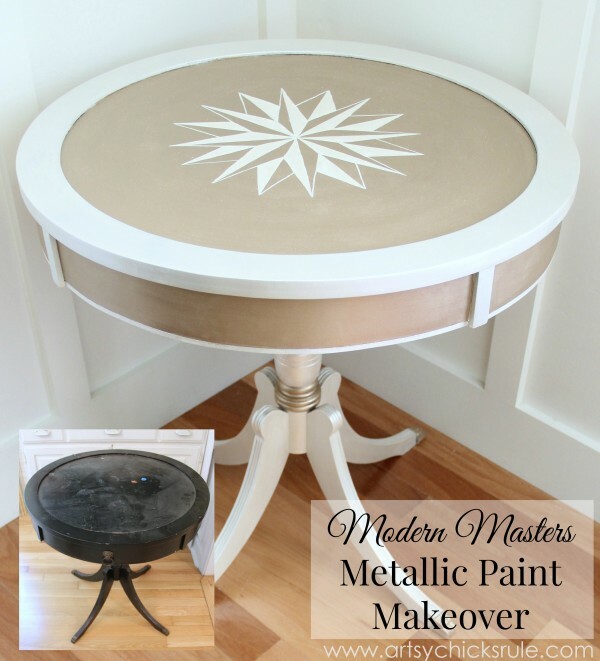 Modern Masters Metallic Paint Makeover. See the details here. 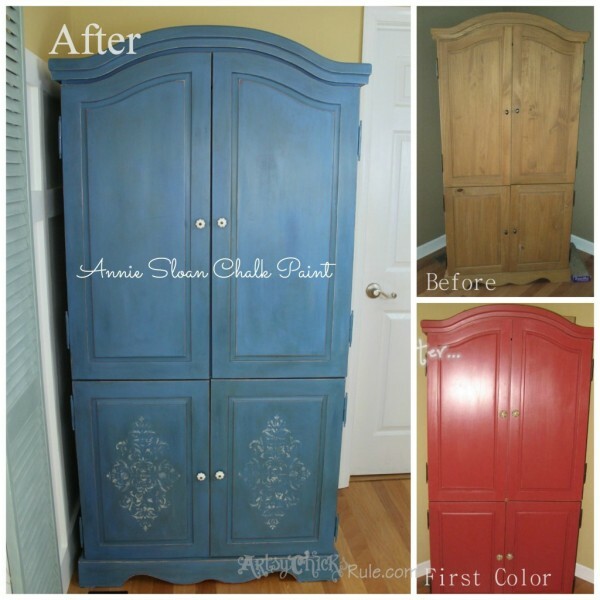 This armoire went through a few changes before I got it right. 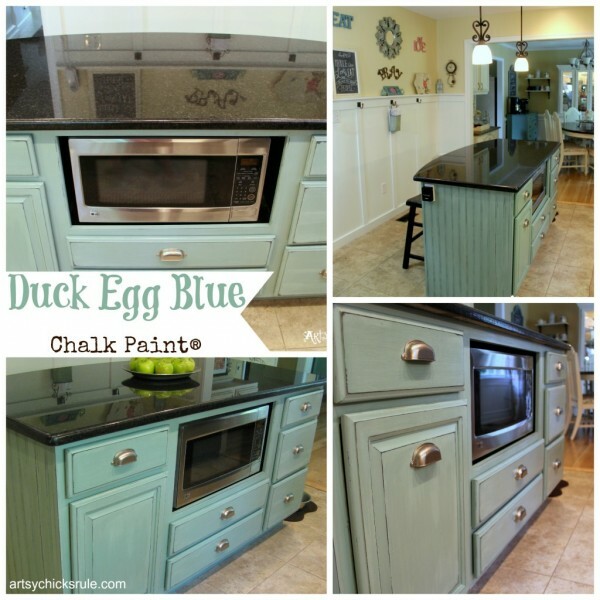 You can read about the 3 paint technique I used for the “blue” makeover here. 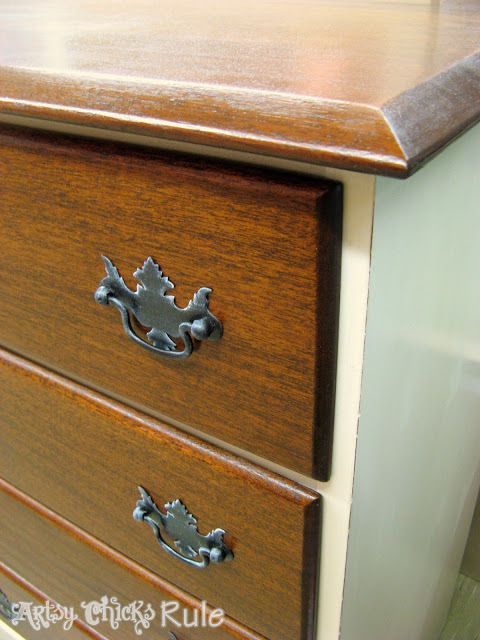 Mahogany Thrift Store dresser. I sanded, restained & poly’d (the whole works!) this one….and added a little paint. Read about the entire process here. How about painting upholstery? I did….and have several times. 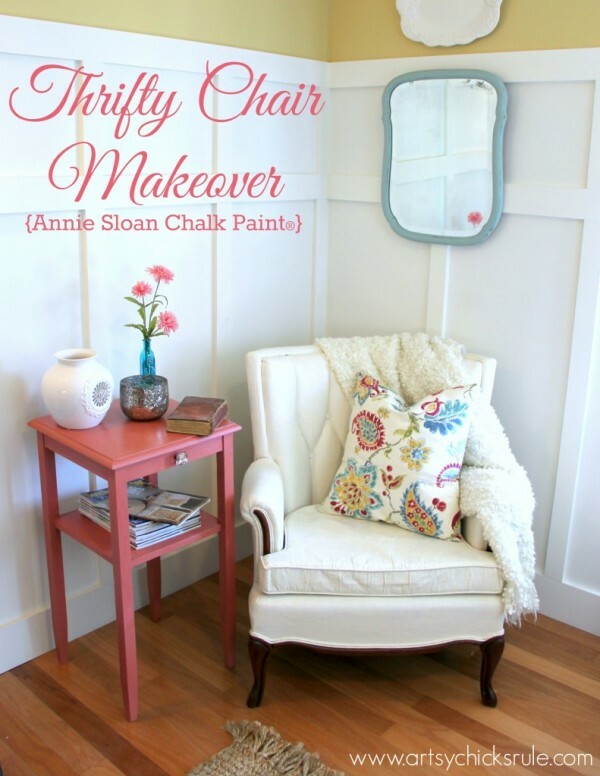 Like this thrifty chair makeover. I’m including my kitchen island because it’s furniture, right? Sort of. 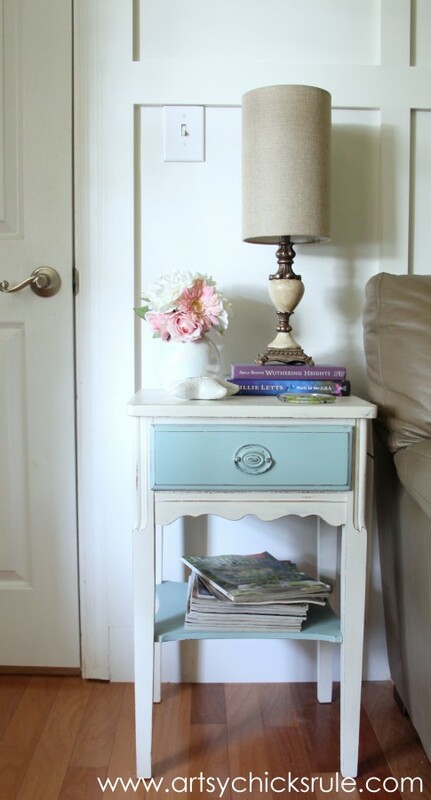 I painted it in Duck Egg Blue Chalk Paint. I also redid the rest of my kitchen cabinets. You can see the before of the island and read about how I had a “happy accident” and got that great “washed” effect here. 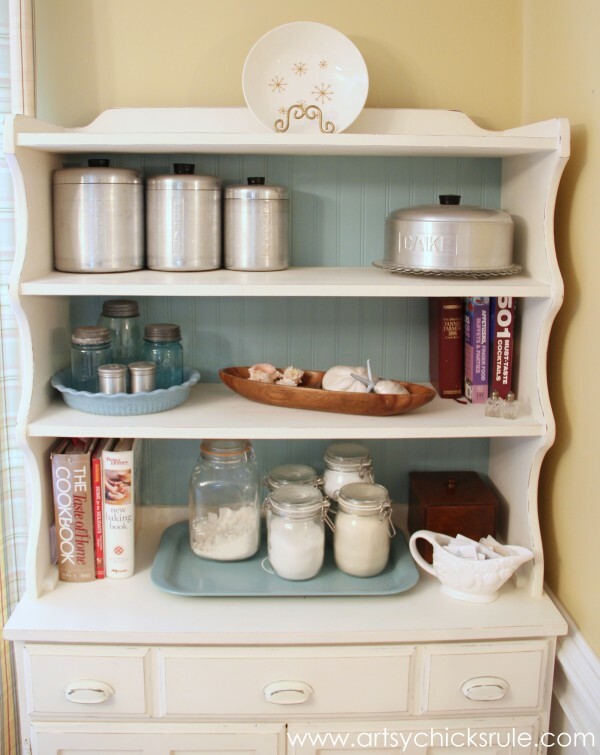 Thrifty 1970’s Craigslist find…that I turned into a “Baker’s Hutch”. See the before and read about it here. Second time’s the charm on this estate sale sideboard. 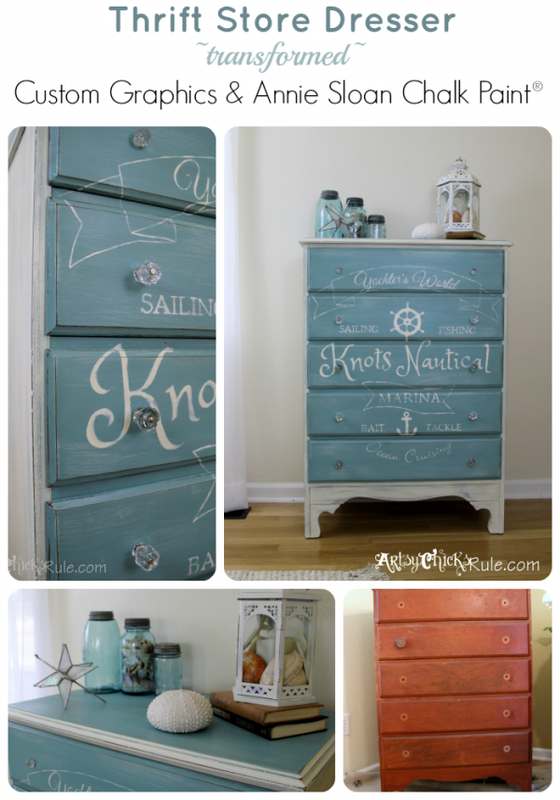 I love this little shabby, coastal treasure. It sits in my family room right beside my couch. 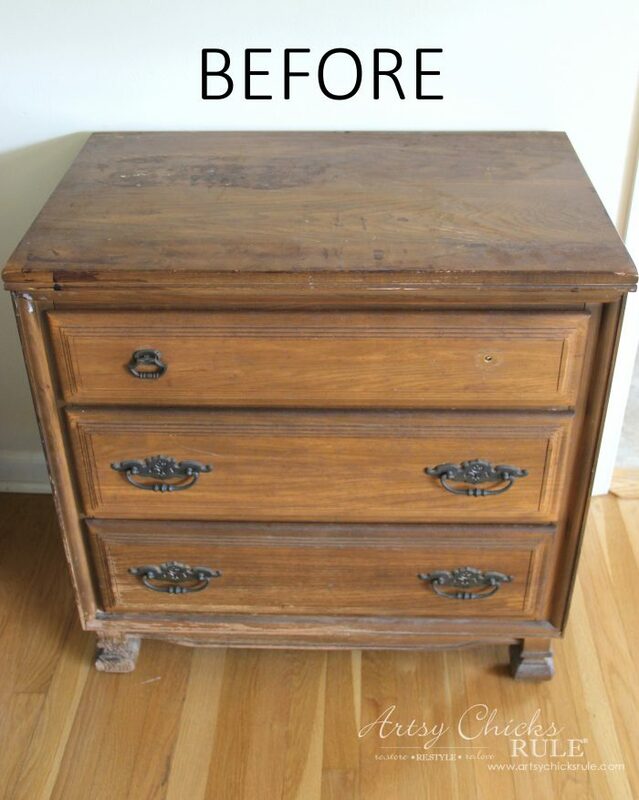 See how it looked when I got it and how I added some “flair” to the inside of the drawer here. 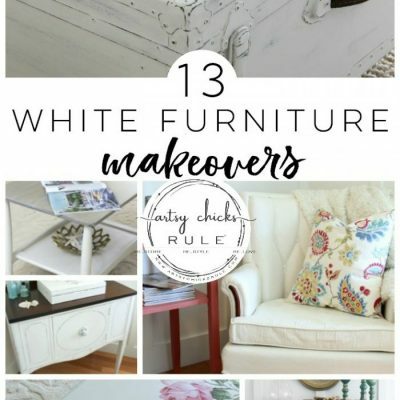 I recently shared this furniture makeover with you. 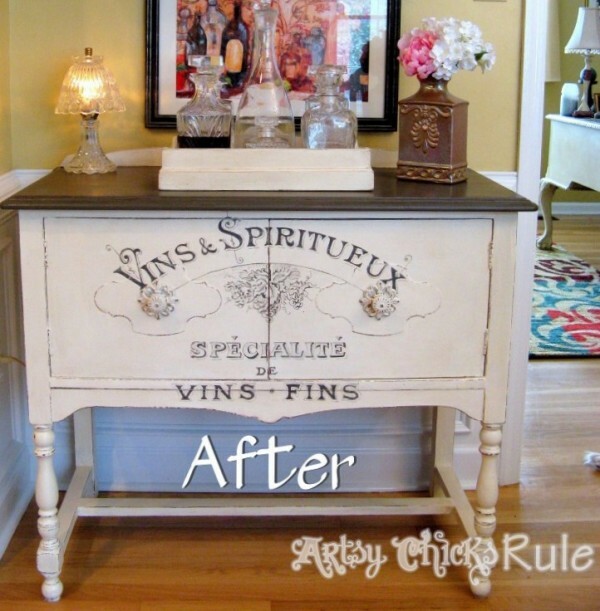 It’s actually more of a furniture repurpose. 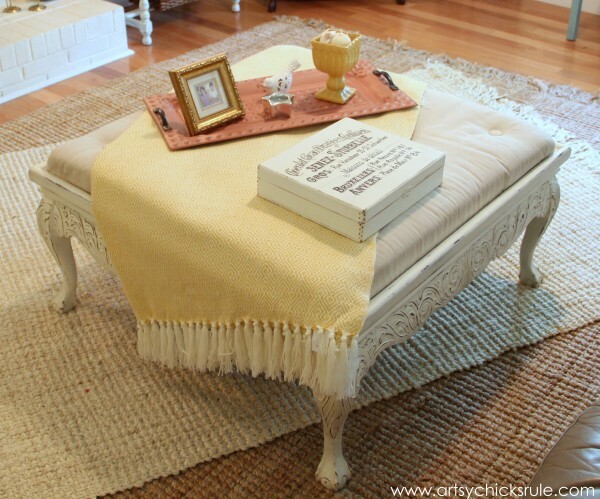 I turned an old thrift store, glass topped, coffee table into a tufted ottoman. See the before and all the details on this project here. 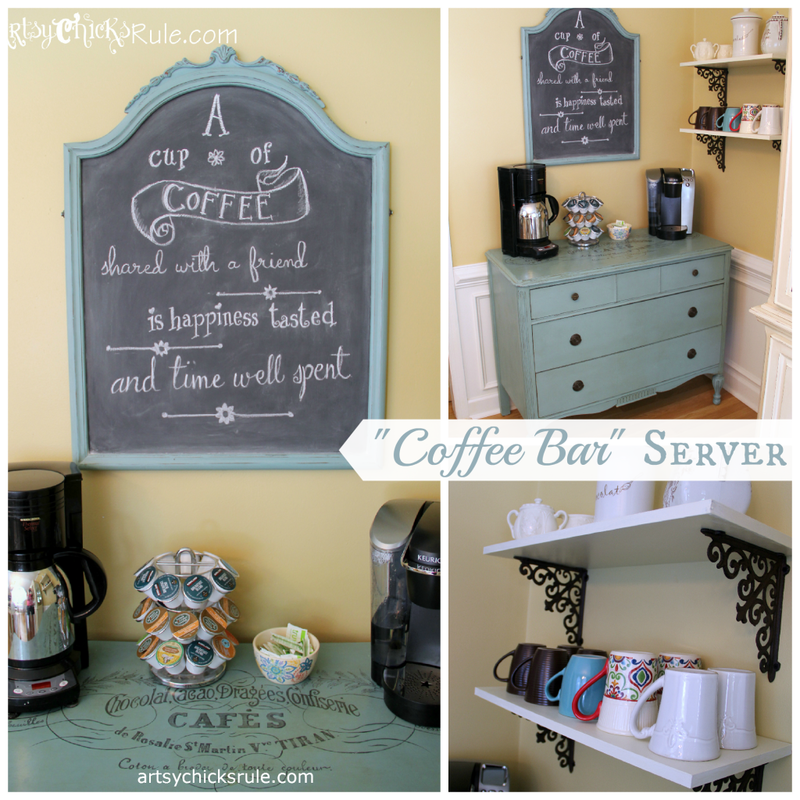 Another one of my very favorites….this “old thrift store dresser turned Coffee Bar”. 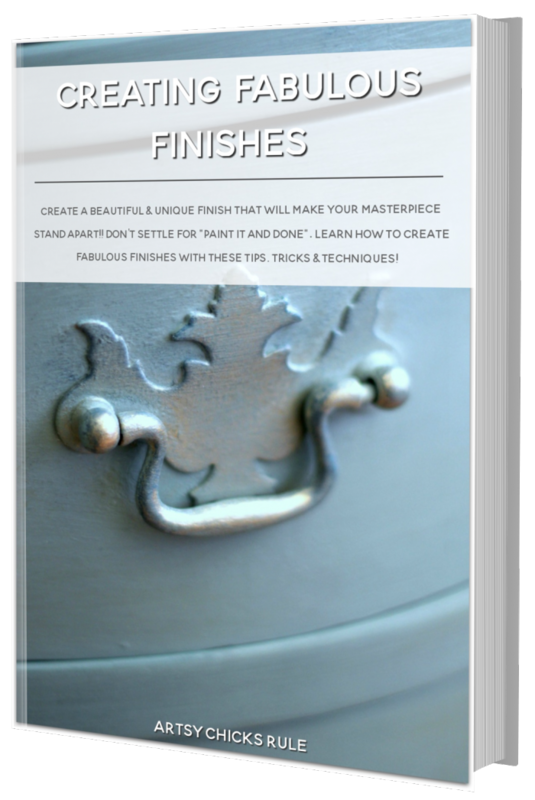 Details, tutorial and before photos are here. I painted 2 upholstered chairs…this is the other one. 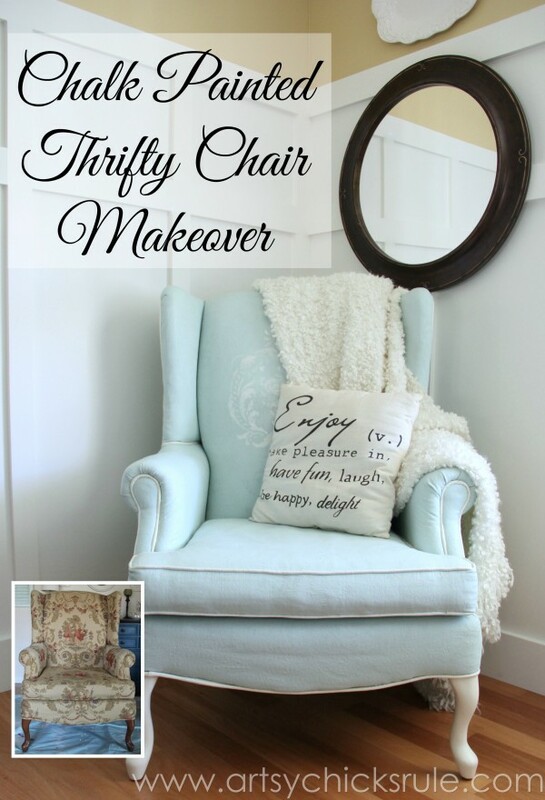 Thrifty French Arm Chair Makeover–details and before photos here. My most popular post at the end of last year…..and remains my most popular. 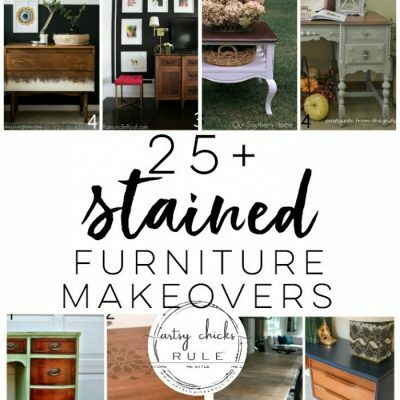 Super Easy Way to Update Wood Stained Furniture. 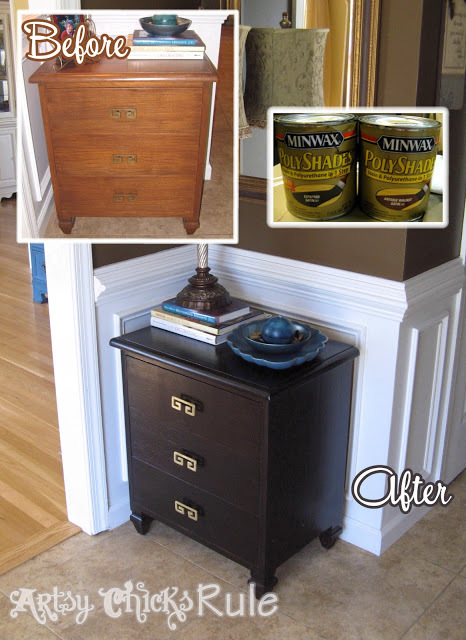 See the details and a few other makeovers with this product in this post here. 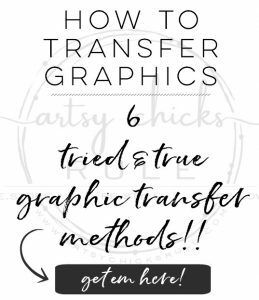 In this post here you’ll find several of my makeovers all in one place. 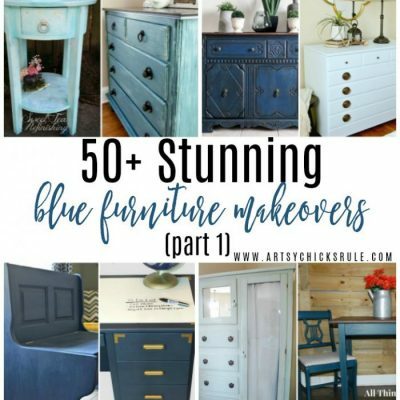 I hope you enjoyed browsing through some of these furniture makeovers. These are truly all projects anyone can do. You have to just get started and do it! I will be back next week with a new “Beach, Sun & Sand” sign and am giving you a glimpse of my Foyer. From day 1 til now. Before and After. My favorite kind of photos/posts! 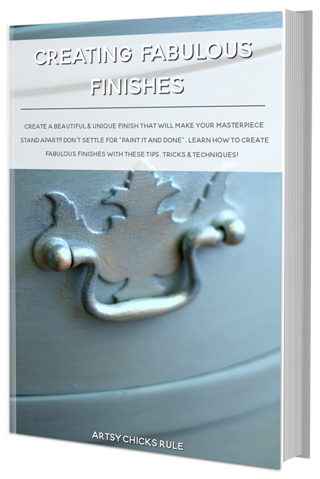 Whether it’s furniture makeovers or room makeovers. How about you? Are those a favorite of yours too? Plus, I hope to share a bit from the blogger’s conference I’m attending. Until then, happy weekend to you! 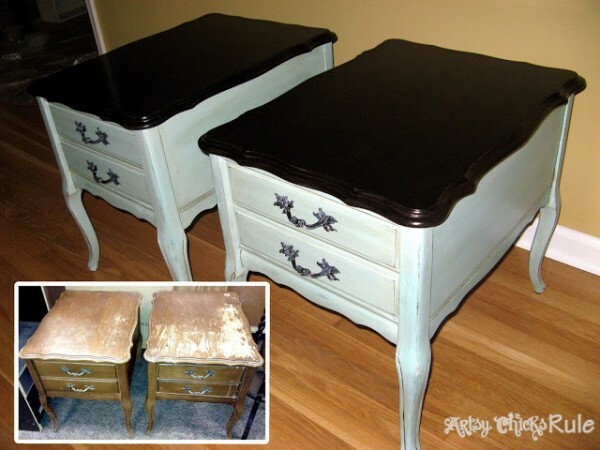 Want to see even MORE fab furniture makeovers?? Click here for more! 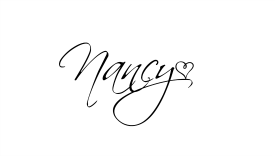 Hi Nancy, have fun at Haven. Wish I was there…next year!